It is raining cats and dogs today. 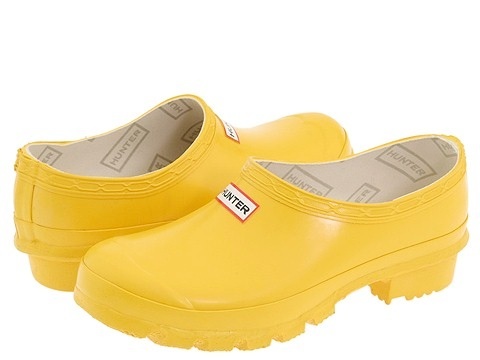 Wouldn’t it be so much fun to be splashing about the puddles in these adorable Hunter clogs? I have a pair of their rain boots, which I adore, but they can be a bit stuffy and a pair to put on. I think that these would be great to slip into for a trip to the gym or to run errands. Perhaps they could be a Happy Autumn gift to myself? (9/24) UPDATE: Shawn surprised me tonight by bringing home a pair of these in red!! I have the best hubby ever!